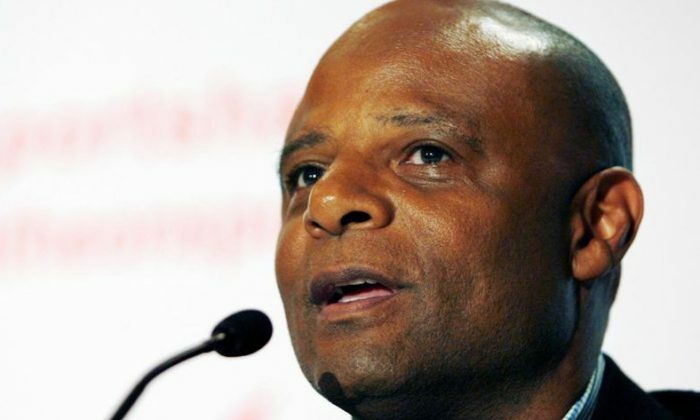 Professional football Hall of Fame quarterback Warren Moon denied accusations of sexual harassment by a woman who was an executive assistant to the former National Football League player at the sports marketing firm he co-founded. According to the lawsuit filed Monday in Superior Court in Orange County, California, Moon required Wendy Haskell to share his bed during business trips, wear lingerie and made unwanted sexual advances while she worked as his executive assistant at Sports 1 Marketing. “Warren Moon has yet to be served with the lawsuit filed by Wendy Haskell, but he is aware of the claims contained in it. Mr. Moon denies the claims by Ms. Haskell,” his attorney, Daniel Fears, said in a statement received by Reuters Thursday dated December 6. A representative from Moon’s company did not immediately respond to Reuters when asked to comment on the allegations against the 61-year-old former quarterback. According to the lawsuit, Haskell was hired by Sports 1 Marketing in early July to be Moon’s executive assistant, and her responsibilities included traveling with him for speaking engagements, charity events and personal appearances. The lawsuit claims that Haskell traveled with Moon on an almost weekly basis during her employment and that he made her stay in his hotel room and share his bed. The lawsuit also claims Haskell reported Moon’s behavior to the company’s chief executive, David Meltzer, in October but they did not investigate her claims. Haskell also says she was demoted after making the complaints. She is still employed by the company. Moon, who played professionally in Canada before going on to star in the NFL, is the co-founder and president of the Irvine, California-based company, which was also named as a defendant in the lawsuit. ”Wendy Haskell made the decision to right a giant wrong,“ her attorney, Diana Fitzgerald, told Reuters late Wednesday in a telephone interview from Miami. ”She now joins a growing group of valiant women who have decided essentially enough is enough. The NFL’s Seattle Seahawks, where the former quarterback played for two years, said in an email statement late Wednesday it had accepted Moon’s request for a leave of absence as the club’s radio analyst. After winning five consecutive championships in the Canadian Football League, Moon moved on to the NFL for a 17-year career that included stints with the Houston Oilers, Minnesota Vikings, Seahawks and Kansas City Chiefs. Despite spending his first six professional seasons in the CFL, Moon was third all-time in NFL passing yardage and fourth in touchdown passes at the time of his retirement in 2001. Five years later he became the first black quarterback to gain induction into the Pro Football Hall of Fame.